After a long time, Google has finally thought to add some new features to the popular email service Gmail. On Wednesday it announced a brand-new look for Gmail. It is the biggest revamp since 2013. The features added will enhance security and functionality and also aim to make emails more simple, uncluttered and easy to use. The new design hasn’t been rolled out completely, but still some can change its look. If you are one of those who are bored of using the plain simple Gmail then you need to know what all Google has to offer in the new design. Let’ check out what is new in Gmail. 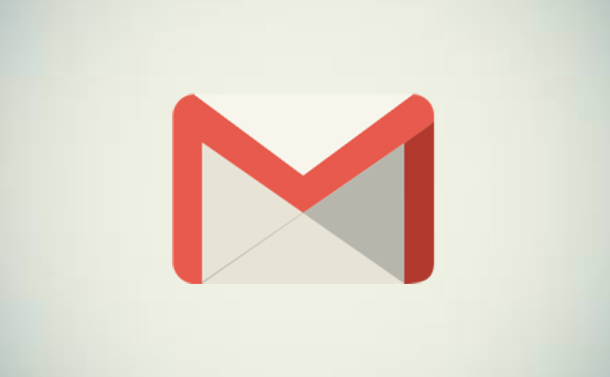 Gmail has been the most popular email client but lately it has started to look outdated. As there have been no change to its design. In the new interface as a user new icons and rounded buttons will attract you in the first look. Another plus point about the design is you can customize its look and change compactness. Both these features let you have email view on your screen as per your preference. Read Also : How To Recover Permanently Deleted Emails in Gmail? If you have been exchanging long threat emails then finding attachments is time consuming. The new design will help you with this tedious task, it will let you quickly find attachments. Now the attachments will be shown in your inbox just below the subject line (if using default display). Without opening the email, you can see attachments in just one click from your inbox. In the old design shortcuts menu were missing therefore in the new one when you mouse hover on an email you see a pop up menu that appears on the right side of the screen, with options like archive, delete, mark read, unread and snooze. This gives extra edge to the user, now by simply placing the mouse over an email you can choose the action that you wish to perform. It makes email sorting quick and easy. Now you can spend time on other important things rather than on organizing inbox. The snooze option is a new addition to Gmail. Using this you can hide the new email from inbox for a specified time and then make them reappear after that. It’s a must feature that was missed in Gmail for long now with this added to Gmail we can easily set a reminder for important mails. The new feature bounces unread mails on top of your inbox and asks you about it. These mails will have a note in orange to the right that reads, “Received 3 days ago. Reply?”. This feature is helpful for those who forget to reply emails or use add-ons to get reminder for mail replying. This feature will not come as a surprise for those you use Gmail on phone, as they might be using it. But for desktop users it si something new. Smart replies are to the point they are pre-defined templates that can be added to the mail you are replying to in few clicks. User gets to select from three options provided, these are based on the email content. To view the options you need to click on options at the bottom of an email and create quick reply.Even customization of these replies is possible. Gmail has been making malicious mails as spam but many non- tech users don’t understand it and they fall for such mails. To handle this in the new design the suspected fraud or phishing messages will be shown in a red box at the top of your screen. Now you don’t have to think about how to access other Google apps. By using the new sidebar provided at the right hand you have an ease of access. Also from here you can drag and drop email to create task. But using this side bar you won’t be able to access Drive and Docs. If you don’t want the recipient to forward, copy, download or print the mail, you can set a limit for message expiry and deletion. Plus, you can add two-factor authentication to a message to ensure that only the right recipient is able to read the mail. At present this feature isn’t available but soon will be rolled out. A handy feature for those who want to access their emails wherever they go even without an internet connection. This feature allows user to draft an email, search, delete and archive mails without internet connectivity. This feature too will be rolled out soon. Gmail app is getting smarter, soon high-priority notifications will be used to deal with spam notifications. Also, Gmail will seek user permission to unsubscribe from newsletter that aren’t viewed often by the user. Again, this feature will be available soon, it isn’t there in the version rolled out. Hope you liked the article and it was interesting to know about the new features and design of Gmail. But one thing that you must be wondering about will be how to get the new version, right! 2. Sign in and then click on the gear icon, available at the top right corner. 3. Here you will see an option to “Try the new Gmail”. Click on it to enjoy using the new design. However, if you cannot see this option it means the update is not yet made available in your region. You will need to check back later. But as mentioned there is another way too to get the update but what is it? This option is available for the G Suite users with admin access. if you are reading this it means the first way didn’t work for you. So, let me tell you how this will work. To get started you first need to have admin rights on the G Suite account. As only the admin can access this part via Admin Console after selecting “allow users to access the new Gmail”. Once this option is enabled by the admin, all individual accounts will be able to see the option mentioned above, “Try the new Gmail” under the Settings route. So, now you have it finally. But say for example you did not like the new design as you are used to the old one, you can switch to the previous version too. For this you need to again click on the gear icon and then select revert to Classic Gmail. Hope you enjoyed reading the article. IF there is anything you would like to add to it please let us know. Your feedback is valuable and it helps us to know what users would like to read and expect from us as a technical blog.